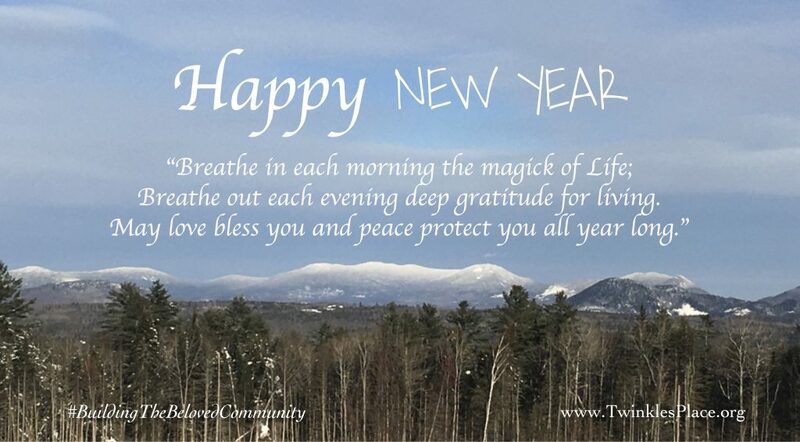 Breathe out each evening deep gratitude for living. I am going to be thinking about how her idea of finite mindfulness relates to life practices in general whether struggling with addictions or simply seeking peace-of-mind and transforming negative feelings and thoughts. 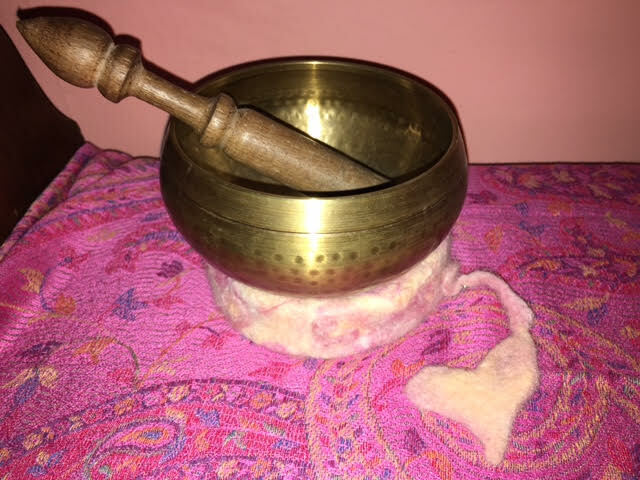 Many spiritual practices turn our attention towards the infinite, which can help us see the larger picture of Oneness, yet it can sometimes also serve as a spiritual bypassing of sorts, which can become a habitual distraction, addictive in detaching (or hiding) rather than coping with what is present in our lives. is not only more manageable, but also practical in a spiritual sense because it opens the door to deep gratitude for the life we have, even if we are struggling in the moment, we are present to it and able to do something about it. Thank you Ange – I needed this gem of inspiration today! 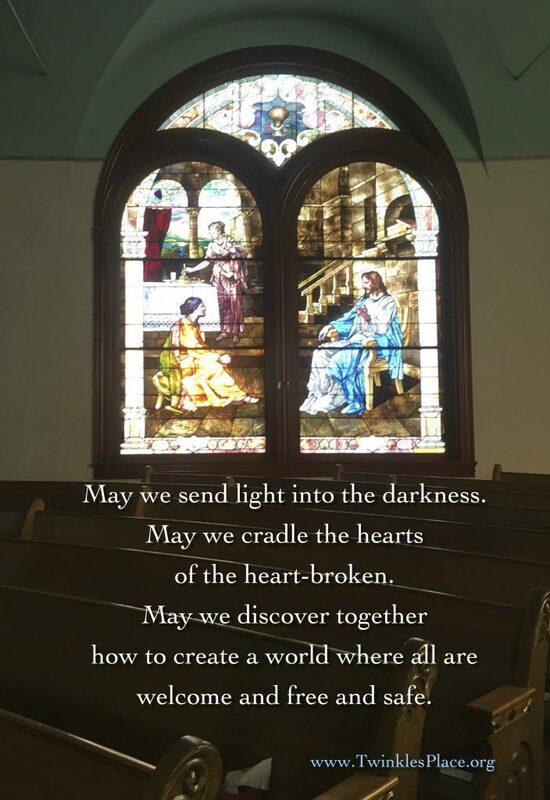 May we send light into the darkness. welcome and free and safe. 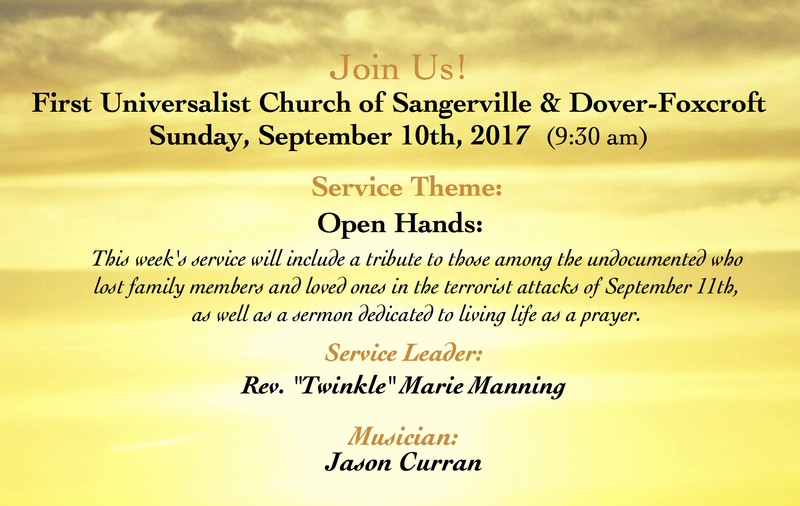 This week’s service will include a tribute to those among the undocumented who lost family members and loved ones in the terrorist attacks of September 11th, as well as a sermon dedicated to living life as a prayer. Frances Ellen Watkins Harper (1825-1911) was active in both African Methodist Episcopalian and Unitarian Universalist churches. She was a prolific writer and poet, as well as a leader in the abolitionist movement. 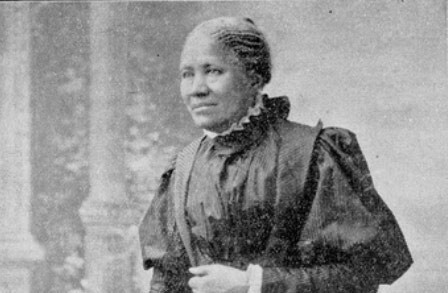 She helped slaves escape through the Underground Railroad and wrote frequently for anti-slavery newspapers, earning her a reputation as the mother of African American journalism. As we enter into reflection about our Nation’s independence, may we ever be mindful of the blessings and responsibilities of freedom. May we seek to embrace the light, and be blessed by the light. 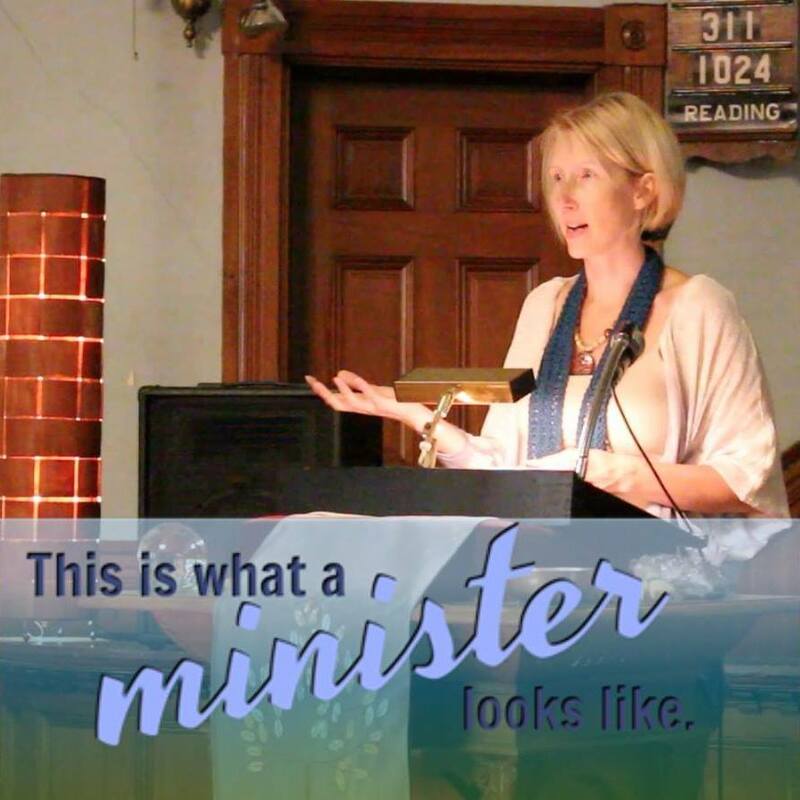 As a member of the Unitarian Universalist Society of Community Ministries and as ordained clergy, I am honored to claim my place among female ministers in solidarity with Baptist Women in Ministry where each week they introduce and feature a female minister. 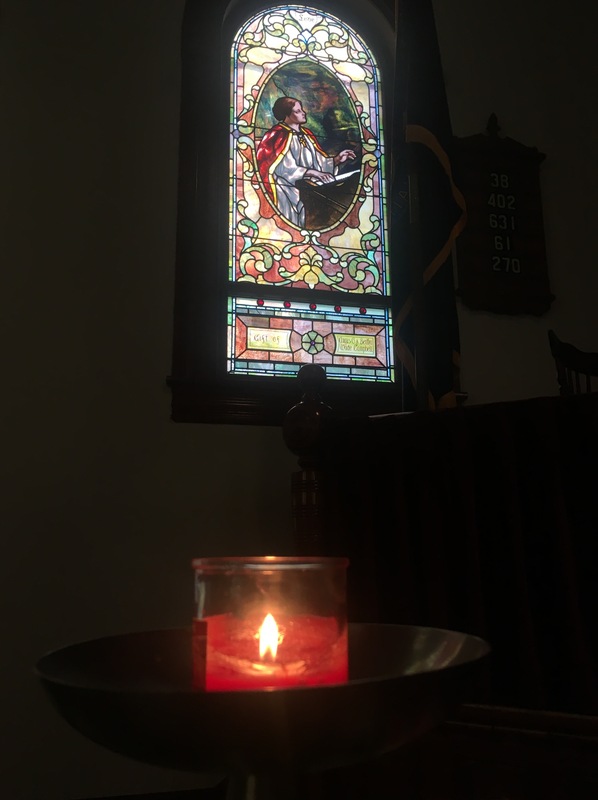 On Facebook over the past week I have felt my heart leap with joy as my clergy colleagues of many denominations and Faiths have joined in this movement. Remarkable women. Amazing ministers. Beloved friends. Sisters in Service to that which we each call Holy. 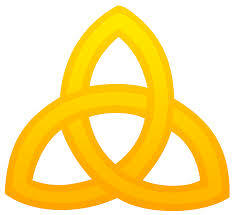 May our ministries reveal the true nature of our hearts. May we support and mentor each other. May we be of good service to those seeking. May we say “yes” every day to our callings. May we usher in ways of being that honor our souls. Bravo to our UU cousins in the UK who host this annual conference dedicated to exploring our theology. We so appreciate Rev.Lewis Connelly‘s perspective of embracing “egalitarian imminent spirit” and the importance to not completely detach from our theology, as tends to happen in Unitarian Universalist strides to detach from all creeds and remain non-dogmatic. The overall sense throughout this discussion by the panel, as well as the audience, is about the importance of not forsaking the creation of shared “spiritual” context of our faith, even allowing mysticism in our theology, and the art of telling stories about the divine, and the art of listening to them. Rev. Sheena Gabriel reminds us that our movement has suffered from the lack of good theology, the kind that is an art, and a poetry, and an experience of the heart. She says it is important to bring the head and the heart together through mysticism. Rev. 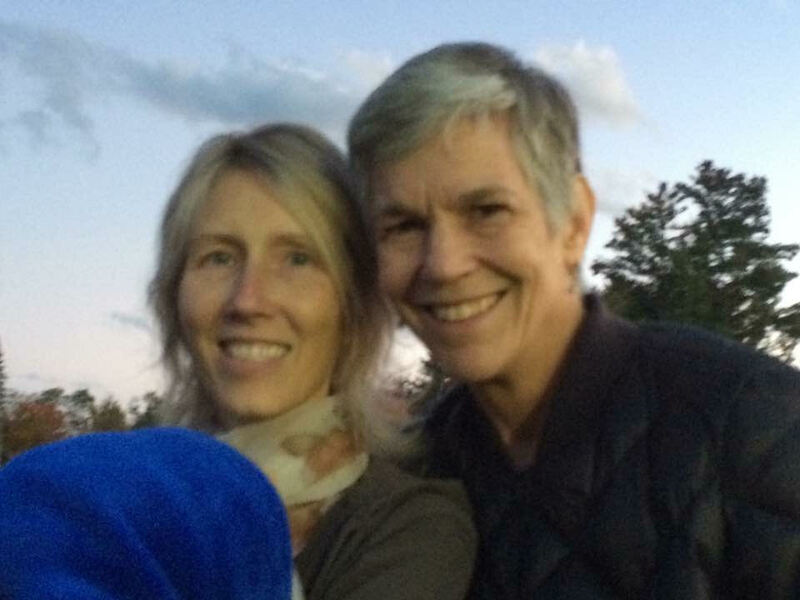 Sarah Tinker points out that our theology is a continual, ongoing process and that happens when we gather together, talk together, explore together. Beginning this summer at Twinkle’s Place, we look forward to hosting panel discussions and small covenanted group ministries focused on heart based explorations of theology embedded in reason as we open to and access the egalitarian universalist spirit. Gatherings will focus on enhancing our UU spirituality and theological practices through exploration of theologies, philosophies and mysticisms. We will continue to update this page as the interviews are available from The VUU. And, if you are in Central Maine on Thursdays, you are welcome to watch The VUU in community at Twinkle’s Place. 11:00AM EST. FOR MORE INFORMATION ABOUT THE UUA PRESIDENTIAL ELECTION, visit this link! 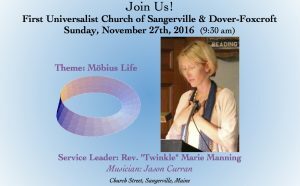 Möbius Life in Sangerville November 27th – Join Us! 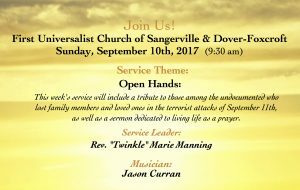 Please join us at church in Sangerville on Sunday, November 27th, 2016 at 9:30am. Let’s explore life as a Möbius together!